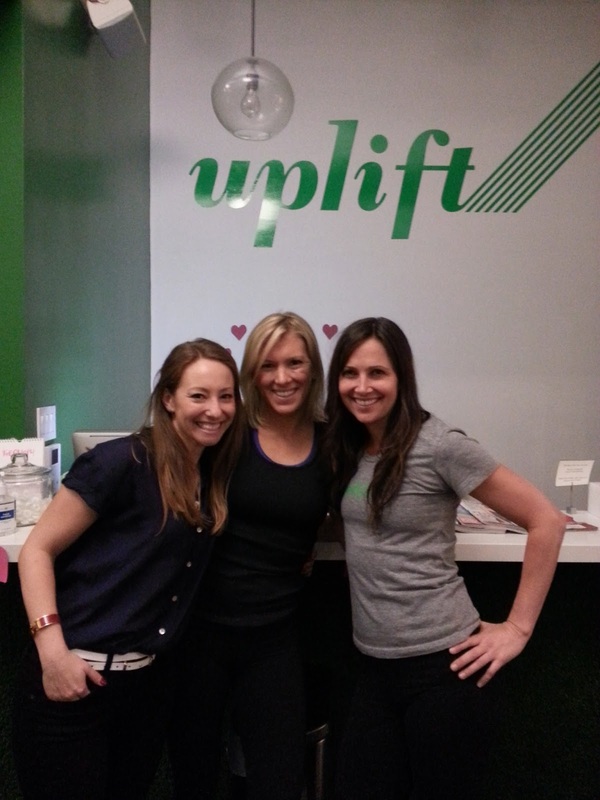 Last night, I went to one of my favorite NYC fitness studios: Uplift Studios. 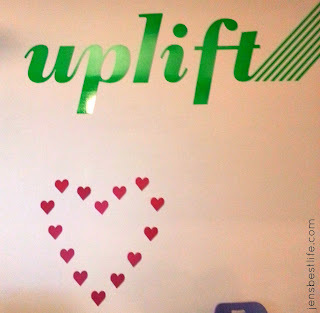 Uplift is revamping their class schedule, moving to two kinds of classes only, Cardio and Strength, and I was invited to try one of them before they're offered starting on Monday, February 18. The Strength class is similar to the original Uplifting class, but according to Melissa, who I chatted with briefly after she took the Strength class, the short cardio intervals are less integrated with the strength sections now. Uplifting-Strength incorporates dumbbells, resistance bands and your own body in order to build strength and power—two of a woman’s most powerful assets! In this strength-training focused class, you’ll work each muscle group to fatigue with longer timed intervals before moving on to the next. To build explosive power (and to keep calorie burn high! ), Tabata-style cardio intervals (i.e., 20 seconds of intense work followed by 10 seconds of active recovery for 8 rounds, or 4 minutes straight) are incorporated throughout the workout, including a high-energy cardio “finisher” to leave you feeling exhilarated, accomplished, and strong. I arrived in time to catch a sneak peek of the class, and it looked like the typical kickass Uplift class, with each exercise being timed by a clock counting down at the front of the room. Uplifting-Cardio is a music-infused full body rhythmic bootcamp. This workout challenges all major muscle groups by alternating cardio and strength intervals. The cardio will utilize fun combos of plyometrics and other high-energy movements while the music motivates you to push it to your limits. The strength portion will use light dumbbells, body weight, and anaerobic intervals. Be warned—this class is infectious! 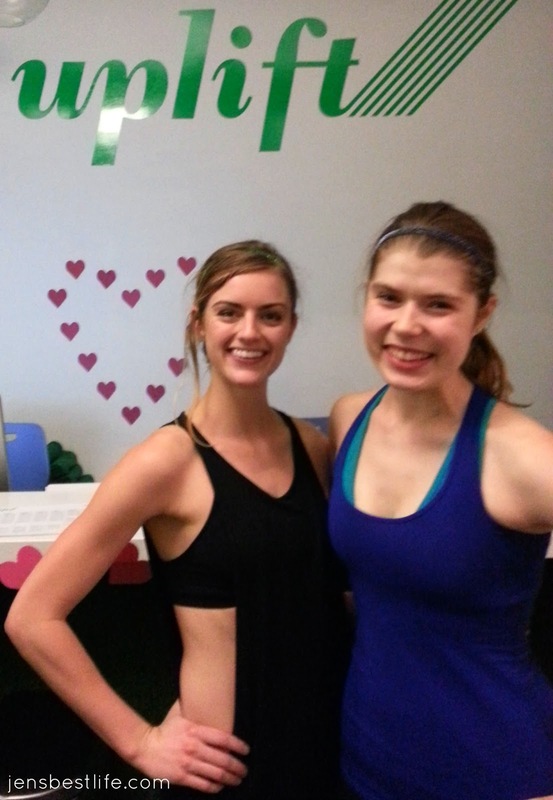 The class was developed by Steph Nieman, who previously was at Barry's Bootcamp and Flywheel. 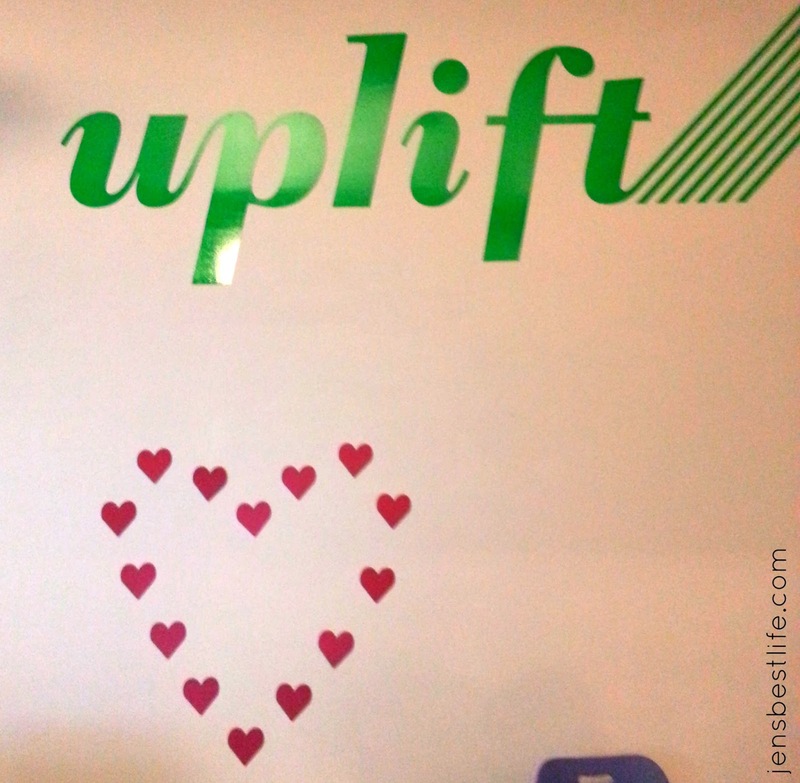 When I asked her why she decided to come to Uplift Studios, she said that while she loved the beat and rhythm of spin classes, she had started to become bored with sitting on a spin bike. 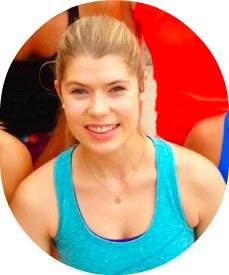 Steph wanted to create an athletic, rhythmic cardio class that incorporated strength concepts of a bootcamp-style workout, without turning the class into a dance class that required students to learn choreography. Well, mission accomplished, Steph. 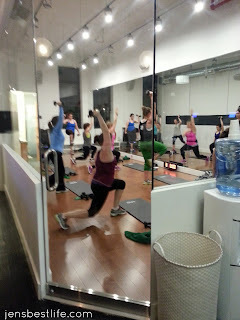 I had no problem following along this high-energy class that had students woo-ing along with Steph as she pushed us, bouncing around the room and motivating us to push through the six high-energy intervals. Enough of my giant head. Back to the class. One thing I loved was that the exercises were set to the beat of the music. I am extremely music-conscious on classes, and being able to do things to the rhythm of a song motivates me and makes the class a lot more fun. By the end of class, I was soaked in sweat. Everyone else was, too, so it wasn't just me being a sweaty beast. The cardio portion is for real; I was breathing heavy for much of the class. And the strength portions, despite using lighter weights, still lead to muscle fatigue because you're doing them in combination with high-energy plyometrics intervals. As for those who can't handle high-impact exercises, rest assured, Steph started class by mentioning that she had modifications for every exercise, and she followed through by showing a modification for every single high-impact exercise. As always, wine was set out after class, one of the most fun aspects of Uplift. They really stress the social aspect of fitness, which is something I love about the studio. 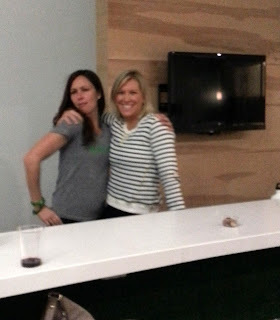 I got to know my fellow sweat-ers as we sipped wine and chatted with Steph and the Uplift ladies. For those curious about the changes, it seems that Uplift is trying to create a more uniform experience. Classes are offered on alternate times. For instance, Monday mornings and Tuesday evenings are Uplifting - Strength and Monday evenings and Tuesday mornings are Uplifting - Cardio. This means that you could go to Uplift at the same time every day and get in both strength and cardio workouts throughout the week. I'll certainly miss some of the old classes, like the Warrior Fight Club boxing-yoga hybrid, but I really enjoyed the Uplifting - Cardio class, and it looks like the Uplifting - Strength class will be a terrific strength workout. Bottom line? Uplift has always been a fun, feminine environment where you can get a kickass workout and have fun. While the class offerings are changing, the classes will still be tough and awesome, and the atmosphere will still be fun and indulgent. Skill Level - Anyone! While the class is tough, modifications are given that can fit any skill level. I love Uplift! I've only ever been to the strength and cardio classes so I guess not much has changed for me! I have a package and need to use it up...let's go together!!? That sounds like such a fun class! It was a lot of fun, and Uplift is right by you, Carrie! That looks like so much fun! I don't know if there are any uplift classes near here, but I'd so try one if there were! I think you'll really like them, Hana!